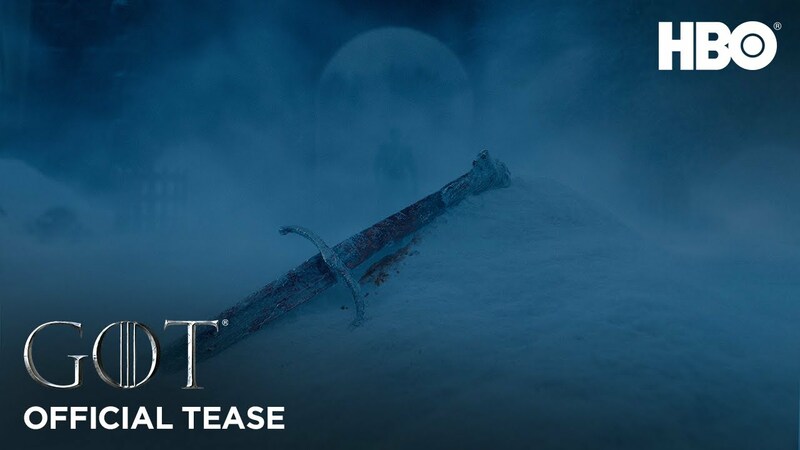 Game of Thrones: Season 8: Official 'Aftermath' tease shows an empty Winterfell and key characters' possessions abandoned – AiPT! The latest teaser trailer and promotional poster for Game of Thrones’ final season are bone-chilling. Jaime Lannister’s hand? Bran’s wheelchair? Daenerys’ dragon chain? Jon Snow’s Longclaw? Needle? Tyrion’s pin? A deserted Winterfell? Yes, we know “Aftermath,” the latest official Game of Thrones teaser is likely just promotional material and not all of which we see therein will come to pass — but will any of what we see here foreshadow what’s to come? Will Winterfell fall to the White Walkers and the Night King? Are these promotional teasers too on the nose, however? Will we have the rug pulled out from under us once more in this series surrounding the motivation of The White Walkers and what they do once they breach The Wall? Fight for the living. HBO’s Game of Thrones returns for its final season on April 14.